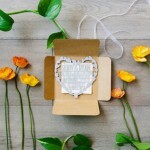 Almond Chocolate Caramel Cookie Wedding Favours: Sound Delish Don't They! Almond Chocolate Caramel Cookie Wedding Favours: Sound Delish Don’t They! Home > Cake > Almond Chocolate Caramel Cookie Wedding Favours: Sound Delish Don’t They! 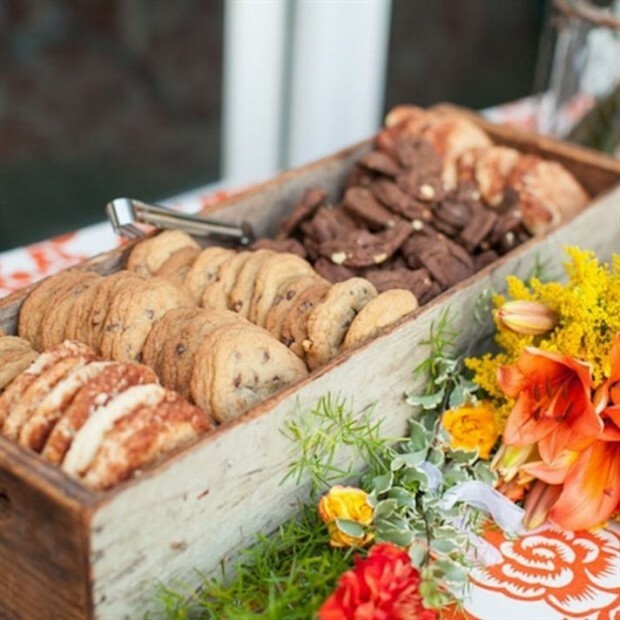 Move over sweetie tables – cookie bars are all the rage at weddings nowadays! 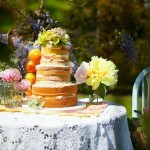 With cooking shows like Dessert First and The Great British Bake Off, it’s also incredibly popular to have a home-baked element at your wedding too. Talk about pressure. Best start practicing those cookery skills now right! Today I’m sharing this rather yummy and especially easy peasy ‘no bake’ Almond Chocolate Caramel Cookie recipe, all you need is a Cuisinart Food Processor. It’s just in time for Thanksgiving and perfect if you’re planning your own bake-off style wedding or cookie bar and don’t want anything too difficult. 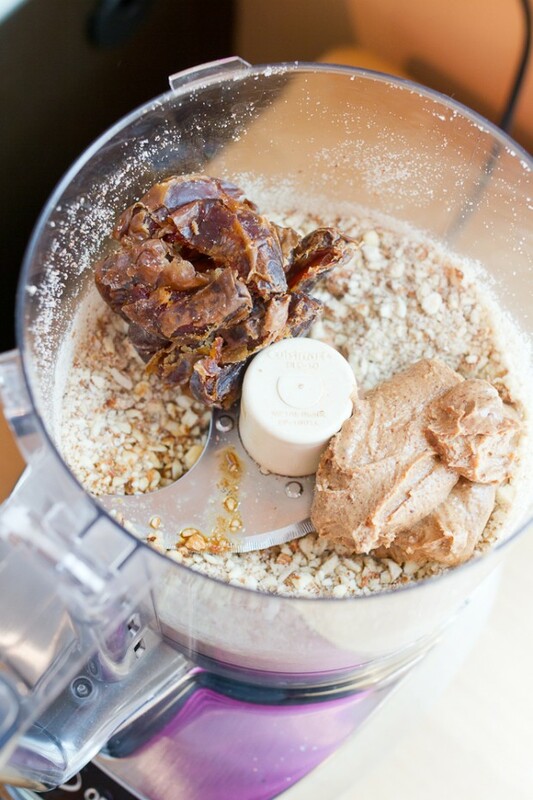 To form the crust, process the almonds, dates, cocoa powder and salt in a food processor. Press the mixture into 9″ X 12″ glass pan. To form the caramel layer, process the almond butter, cacao butter, agave nectar and coconut butter in a food processor until silky smooth. Spread the mixture on top of the crust layer. Top immediately with coconut, pressing it into the caramel layer so that it sticks. Freeze until ready for serving. And that’s it. 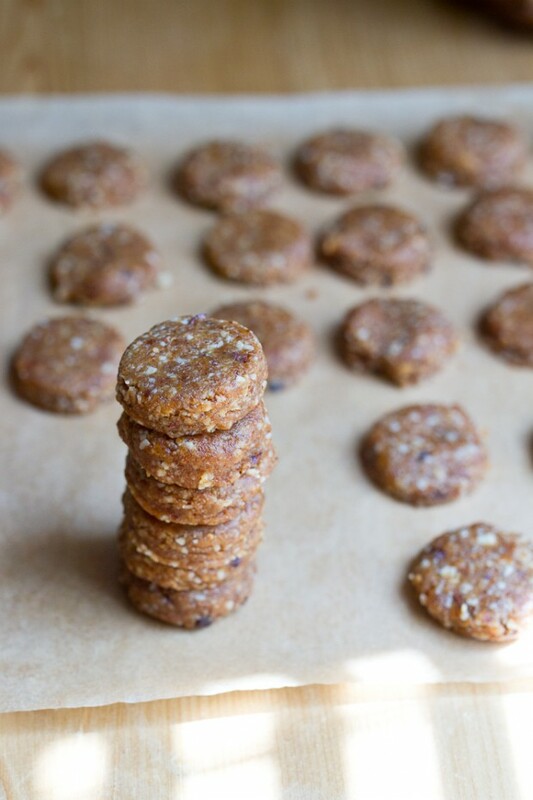 A gorgeous ‘no bake’ cookie recipe perfect for a cookie bar, deliciously fun wedding favours or just for a rather yummy treat and thanksgiving celebration. Mary Berry skills definitely not needed. Thanks for sharing, these will last five minuets in my kitchen, great blog! Oh my how yum they look!